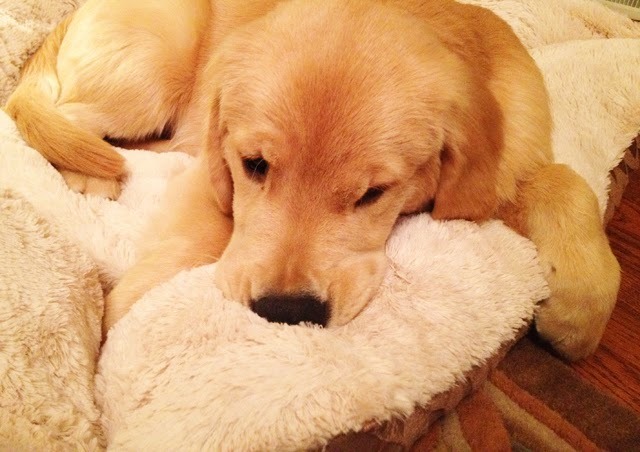 So Boomer's now coming up on six months old and after not seeing him for nine weeks, he's barely recognizable. The little guy isn't so little anymore, for example. He was 30 pounds when I left him and now he's pushing the scale at 50. Oh they do grow up so fast. What I have noticed, however, is that the little (or big rather) guy isn't sleeping as much. He's definitely growing up and going through the toddler time. He's moody, needs attention constantly and acts out when he doesn't get what he wants. The days of him sleeping in peace are nearly long gone. Yet, there are those moments when he can't stay awake any longer. At that moment he crashes and burns. Those are the moments I am enjoying the most. He cuddles up to you as if trying to absorb all of your warmth and, quite oddly, his favourite place to sleep at night is on top of my head. In the morning it looks like I've woken up wearing an oversized exotic golden fur bonnet. Bottom line, I'm in heaven with my golden boy. 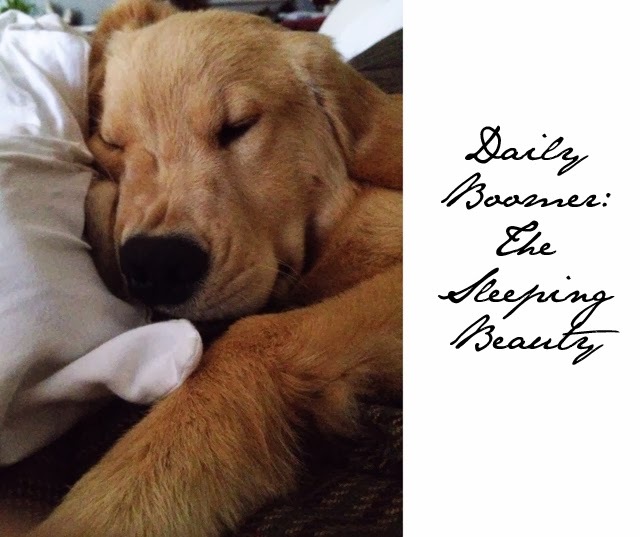 More to come tomorrow as the Daily Boomer is back for the next two weeks! I'm thinking we'll need something extra special for Boomer's first Christmas.